We've helped startups raise over $506 million in funding commitments. Let us help you. Thousands of startups have used our services to launch their fundraise. Join today to learn the ins and outs of raising investor capital. It's free to setup and you can defer payment until you're ready to launch your fundraise. 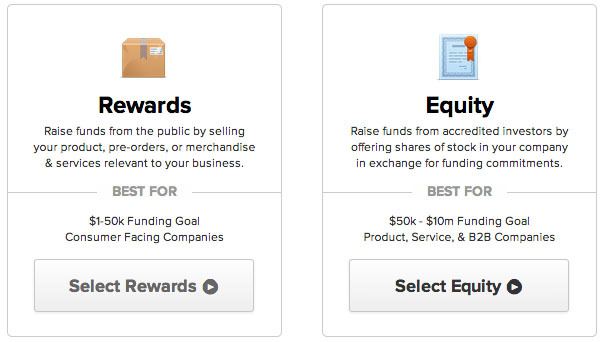 You have the choice to do a reward or equity fundraising campaign. Tell the world about your fundraise and gather commitments from investors and backers. Gary chose to do a rewards fundraise offering free beer for life. He raised $61,673 and opened a craft brewery in Grapevine, Texas. Jessica raised $475,000 and had her flagship product endorsed by the 42nd and 44th Presidents of the United States of America. 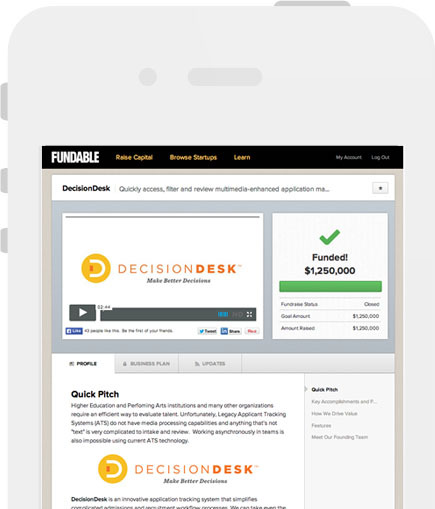 John raised $1.25M to grow Decision Desk, application management software now used by 100+ higher education institutions. 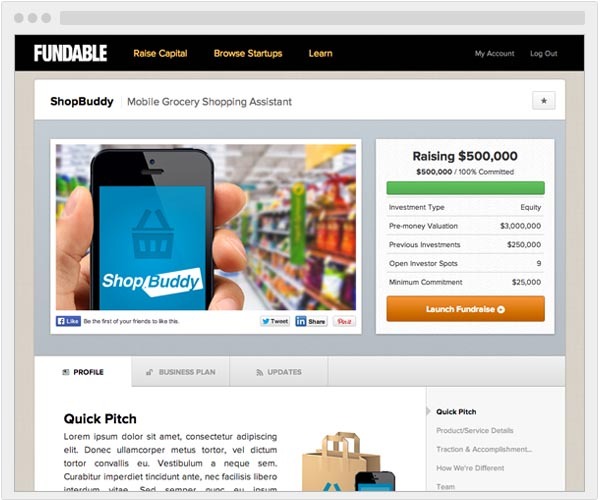 Launch a Fundraise for your Business Today!